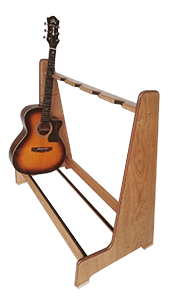 "It’s so beautifully made and an ideal present for any guitarist. Thank you Andy!" 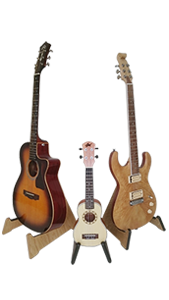 Our wide choice of Handmade Guitar Stands and Racks are beautifully crafted using carefully selected combinations of premium quality solid oak and real oak veneers. 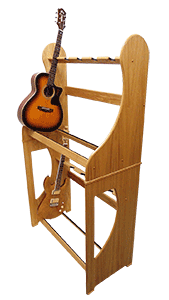 Single storage Guitar Stands to Multi-storage Guitar Stands – all individually handmade to order. 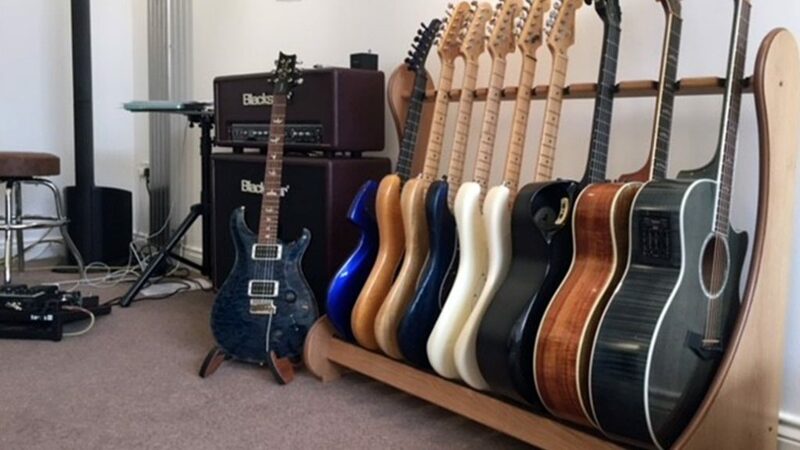 If you are looking to store and display your entire collection including Acoustic, Electric and Bass guitars, then we have the perfect solution! 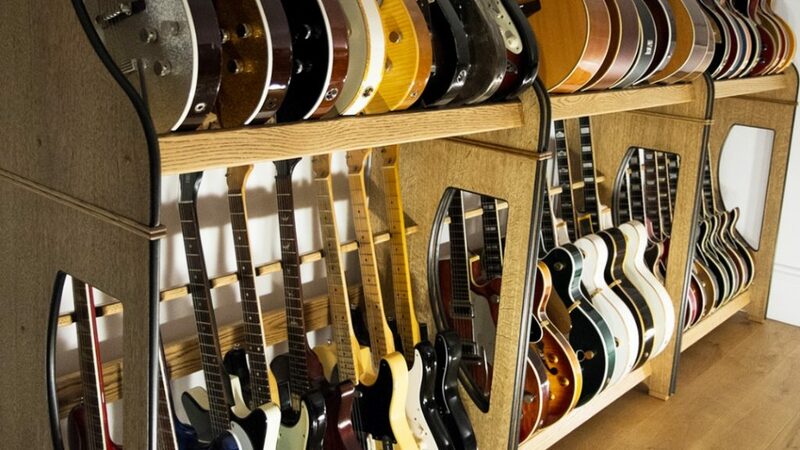 Our single tier Multi-Guitar Racks can display up to six Acoustic, ten Electric guitars or any combination of instruments including Bass guitars in just over one meter’s width of floor space. 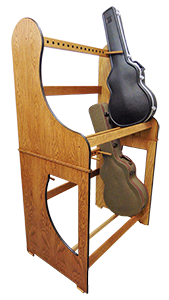 Double your capacity with our two tier Double-Decker Multi-Guitar Racks. 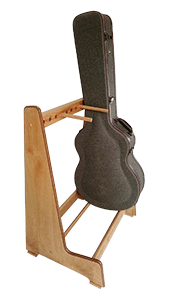 These custom made stands can store up to twelve large Acoustic, twenty Electric and Bass guitars or a combination of all three in up to one-meter’s width of floor space. 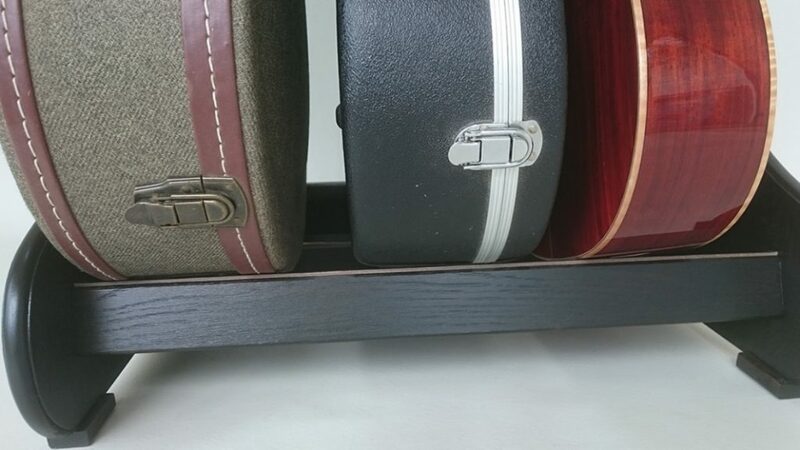 If you prefer to keep your guitars inside of their cases then our range of Guitar Case Storage Racks will conveniently hold up to five large hard bodied cases or a combination of hard and soft guitar cases, upright, secure and all in one place. 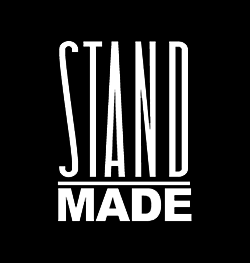 Built to the highest possible standard, at Stand Made we take a great deal of pride in our work which is why we have put together a photo gallery to showcase some of our previous customer’s guitar stands and bespoke projects. We welcome you to take a look and contact us with any questions. 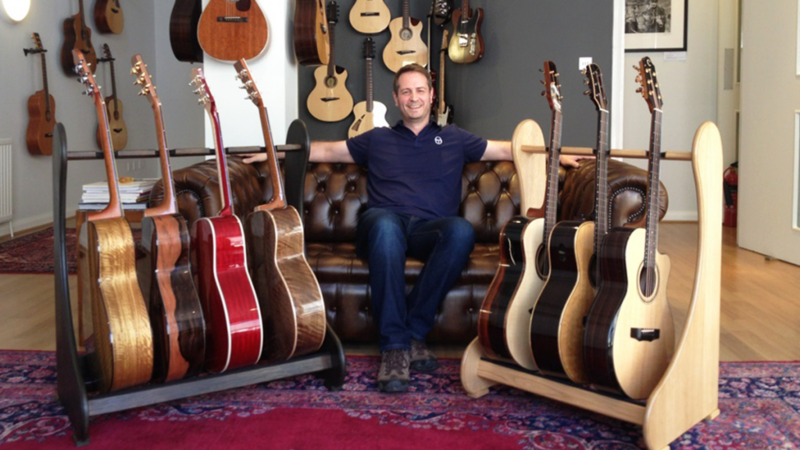 Over the years we have been privileged to create guitar stands and racks for hundreds of customers around the world – even famous musicians! View a collection of endorsements from some of our customers including renowned Artists and Luthiers.